One day Flash Giveaway ends tonight! 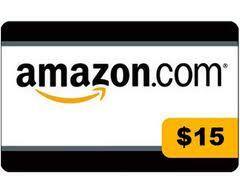 Enter to win an Amazon gift card! Giveaway ends August 16, 2012 at 11:59 pm EST. Giveaway is open to US only, 18 and over. Prize will be sent to winner via email. Good luck!